Launch crp123 Review - Solid Construction, Compact... Limited Functions? Launch crp123 Review – Solid Construction, Compact… Limited Functions? This convenient tool is great for solving problems on a wide number of vehicles. It connects to them, scanning for any problems and providing codes for whatever it finds. It's compatible with most vehicles out there and can do a great job of saving you money on many common issues. It truly makes vehicle repair much easier! This is a handheld device which is designed to be held in both hands. You are then able to safely support the device while you manipulate the buttons with one hand. The screen in the middle is generous and features a lot of detail and colors. The menus are simple to use, and the layout of the buttons make it easy to manipulate the device with your thumbs. The scanner connects directly to your vehicle system with a cable. There are no Wi-Fi or Bluetooth capabilities. The device is also powered by your engine, so there is no need to worry about charging the device or buying new batteries. When you plug your scanner in, you will almost instantly get the data from your vehicle. This will allow you to start running your diagnostics immediately. The way in which the information is displayed is easy to read and use. You can also save and export the data to be viewed later. This is great for analyzing your data at a future date and tracking the vehicle data over a period of time. This device is compatible with OBD2 vehicles as well as CAN vehicles. This gives you more options related to the vehicles which you can run diagnostics on. This means that you can run diagnostics in ABS, SRS, EPS, and the transmission. Not only can you run diagnostics on a wider range of vehicles, but you are also able to run diagnostics on a wider range of vehicle systems. This device is plug and play. You do not need any additional software to run the diagnostics. As soon as you plug it in, it will be able to begin diagnosing your vehicle. One of the main benefits of this device, though it is not directly related to the diagnostics, is its durability. The plastic case is strong and sturdy which means that the scanner will last even if you drop it. There is nothing worse than having a great scanner only for you to have to replace it after taking a small knock. ​The enhanced display of this device makes it easy to read the information and translate the diagnostics. The display is crisp and clear, and the data makes sense, but, more than that, you get a little text along with the code to tell you what the problem is. This saves you time as you do not have to be constantly referring to the user guide to find out what the problem is. You also get visual and audio alerts when there is a problem, with lights turning on and a beeping noise to alert you to the problem. Launch Tech releases updates at a regular interval; this makes the device future proof. Every so often, you should connect the device to your home computer and download any updates. This will update the software and the codes so that you will always be able to run diagnostics on the latest vehicles. There is not too much wrong with this device. It is compatible with most vehicles out there. The only thing to watch out for is cloned devices. 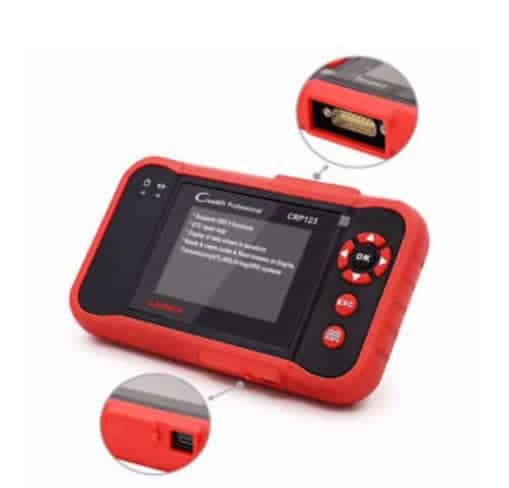 There are some sellers out there who are selling copies of this device, and if you buy one of those devices, you are not going to get a tool which will be able to diagnose the cars which it should. This is a tool which is aimed at professionals, and the added functionality comes with a higher price tag. For novices or amateurs, the amount of information presented may be overwhelming, but for professional technicians, all the needed information will be there. This is a more expensive device than others, but there is a good reason for that. 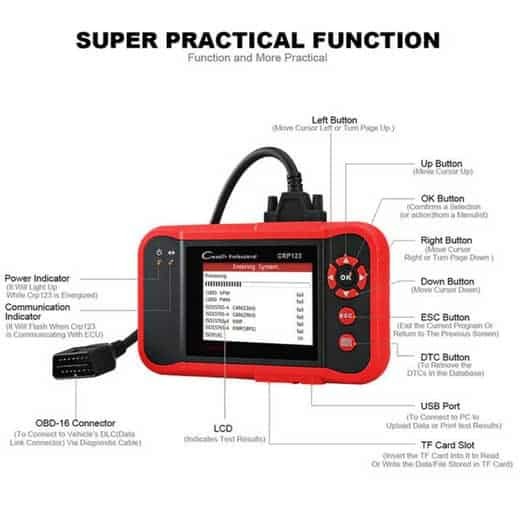 This is a professional device which is more suited to diagnosing multiple vehicles than just one. Having said that, if you want the best diagnostic capability foryour vehicle, then this will give you more information than you know what to do with. The fact that there are regular updates for this device means that you will never have to worry about new codes and incompatibility.